Tired of cookie cutter? Brand new to the EASTSIDE, this four bed, three-and-one-half bath is just 15 minutes from Downtown Greenville across from the Eastside YMCA. 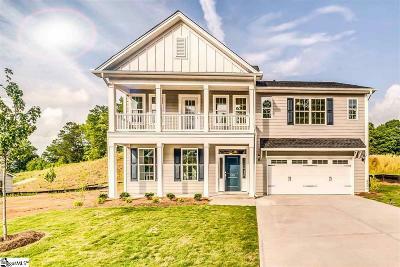 With all the high quality benefits of new, this home is a show-stopper with its Charlestonian charm of a white-trimmed, large double story porch with fine detailing accented by its craftsman hard-board siding. The spacious living room is perfect for an office, library or music room. Beautiful arches keep this home modern but with a distinct functionality of each space. The beautiful dining room with exposed coffered beams will make every family gathering unforgettable. The open family room flows seamlessly into a designer White Kitchen with backsplash and over-sized sit-at island. The master suite is what you deserve with two separate over-sized walk-in closets, two separate vanities and fine ceramic tile shower and tub. It only gets better upstairs with three more comfortable rooms with huge walk-in closets, two more full baths, all leading up to the perfect XL bonus loft area perfect for family entertainment and media fun. Excellent energy efficiency is not just claimed but third party tested. Smart home technology such as Bluetooth sound system, HDMI conduit, and data hub are included! 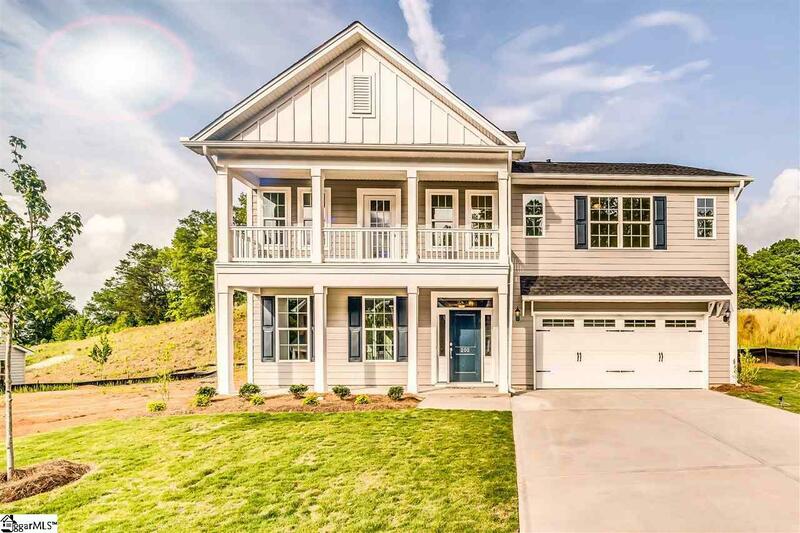 With the perfect location just seven miles from downtown Greenville, award-winning schools, and South Carolina&apos;s native, family-owned builder for 65 years. Move in Ready in April!